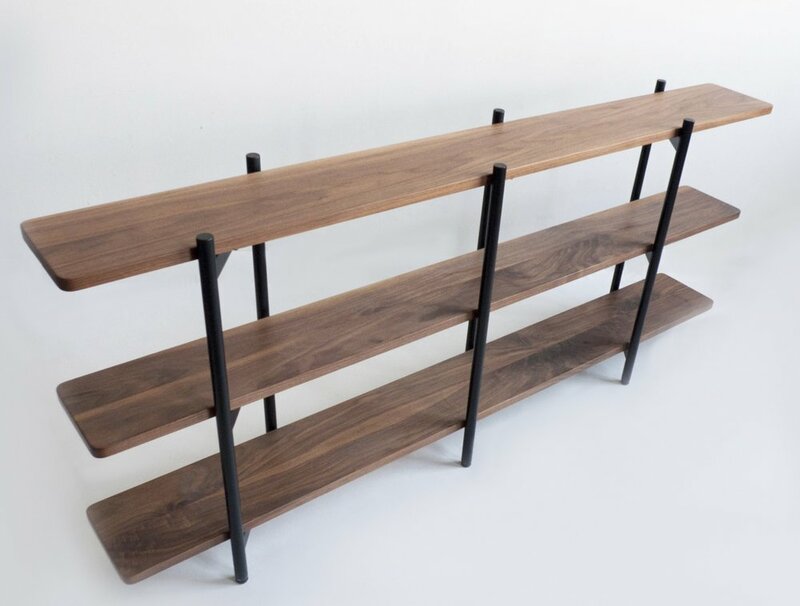 The Gordo bookcase is constructed in our Brooklyn studio and local partners using premium domestic hardwoods and powder coated steel. 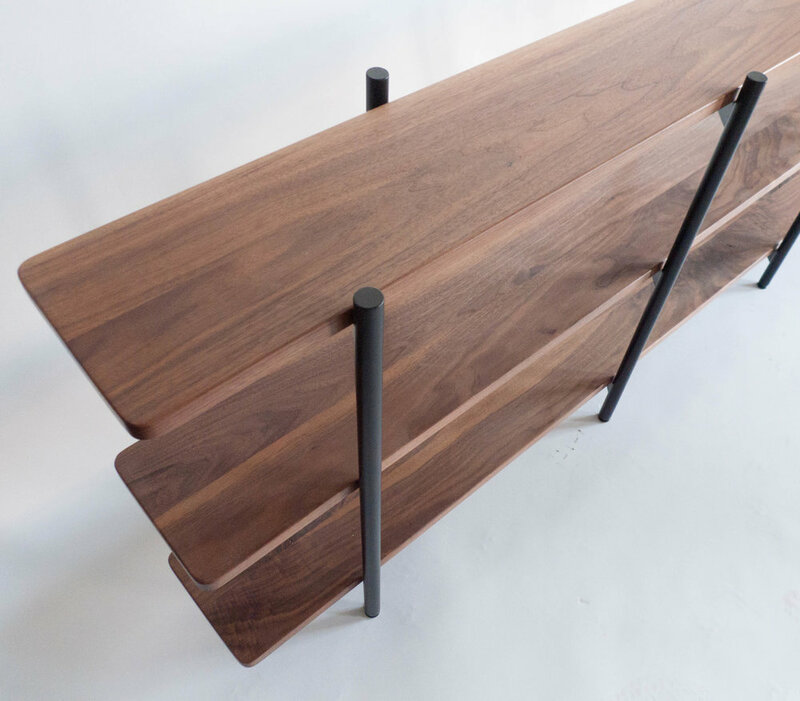 The angled legs allow the shelving unit to be freestanding without the need of a back support so it can be accessed from both sides and placed in a variety of setting. Domestic Hardwoods and powder coated steel.